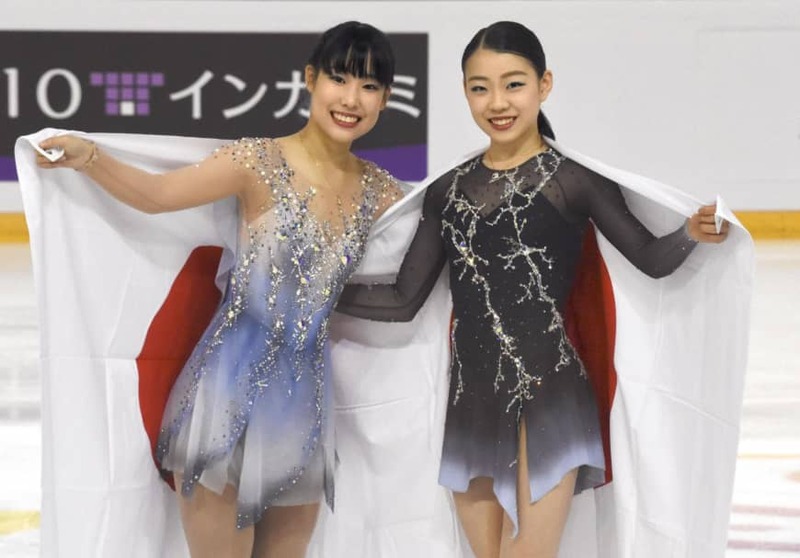 GRENOBLE, FRANCE - Rika Kihira scored her second Grand Prix victory of the season Saturday at the Internationaux de France, leaving Mai Mihara in second place while also punching her ticket to the Grand Prix Final in Vancouver next month. World champion Nathan Chen booked his spot on the men’s side with a pulsating free skate that left him far ahead of the field. The 16-year-old Kihira, who began the day in second place behind Mihara, earned 138.28 points from her free skate for a total of 205.92. Kihira, who also came from behind to win at the NHK Trophy in Hiroshima in her Grand Prix debut earlier this month, opened her program to “Beautiful Storm” by Jennifer Thomas with a wobbly triple axel and under-rotated the jump. She bounced back to nail a double axel-triple toeloop combination as well as four more clean triples and two level-four spins. 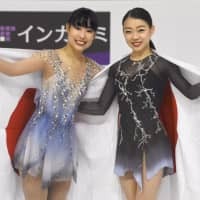 “I am so happy that I have won,” said Kihira, who joins fellow Japanese skaters Satoko Miyahara and Kaori Sakamoto in next month’s Grand Prix Final. “I think I have given my best performance considering the jet lag and lack of power in my legs. Mihara’s second-place finish, with an overall score of 202.81, wasn’t enough to get her into the final. American skater Bradie Tennell’s good free skate bumped her up to third, with an overall score of 197.78. Mihara, who had a slender lead over Kihira after the short program, landed five clean triple jumps but doubled a salchow and under-rotated a toeloop. Her runner-up performance was a personal best after four straight fourth-place finishes in Grand Prix events. Russian Stanislava Konstantinova was fifth while Marin Honda placed sixth. Chen, oozing confidence despite an untidy short program on Friday, outclassed the field in the men’s free skate, scoring 184.64 for an event-winning total of 271.58. The American won by 15 points. The 19-year-old Chen’s free skate featured three tough quad jumps. Alexander Samarin of Russia was third with a score of 247.09. The Grand Prix Finals for the top six skaters or pairs in each discipline from the Grand Prix series of six events will take place in Vancouver on Dec. 6-8.